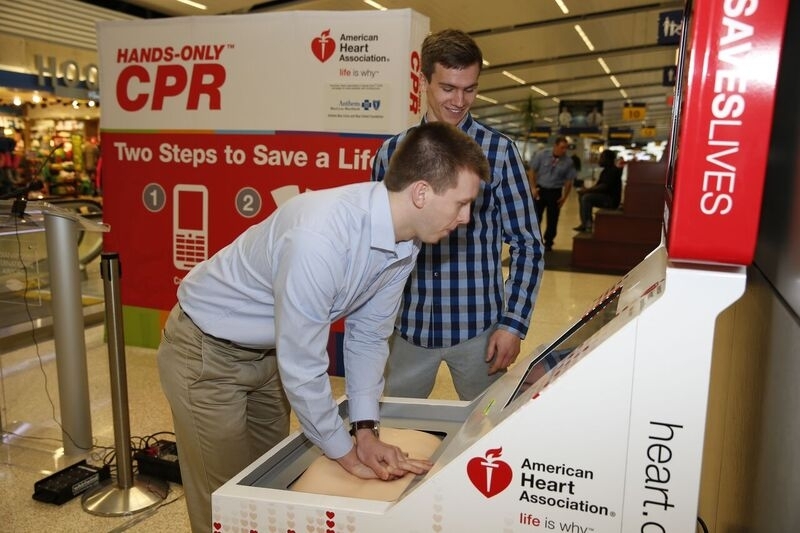 DALLAS, July 24, 2017 — Amid record-high airline travel this summer, the American Heart Association – the world’s leading voluntary health organization devoted to fighting cardiovascular disease – is debuting Hands-Only CPR training kiosks at select international airports across the United States, providing even more opportunities for travelers to learn how to save lives. 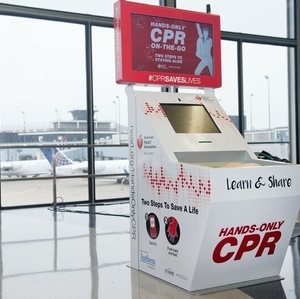 Beginning today, Cleveland Hopkins International, Cincinnati/Northern Kentucky International and Orlando International airports will feature training kiosks where the public can learn Hands-Only CPR in about five minutes while they wait for their flights. 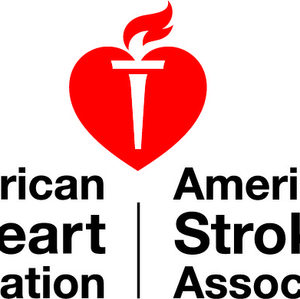 This brings the total number of airport kiosks, supported by Anthem Foundation, the philanthropic arm of Anthem Inc., to seven in the United States. 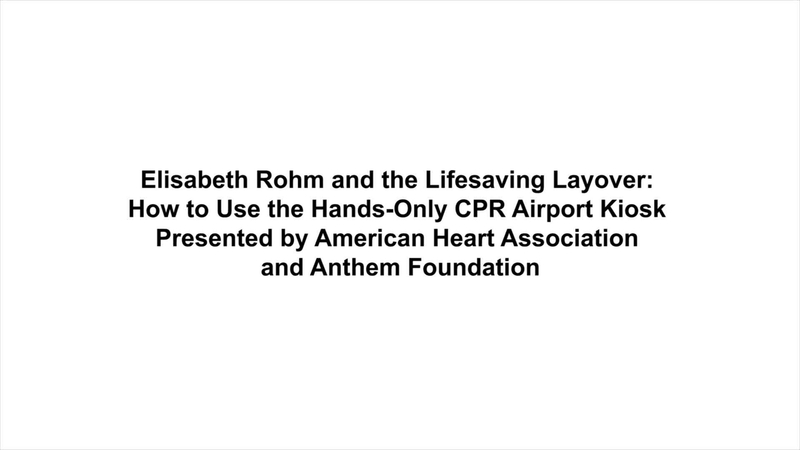 Hands-Only CPR has two steps, performed in this order: when you see a teen or adult suddenly collapse, call 911. Then, push hard and fast in the center of the chest until help arrives. 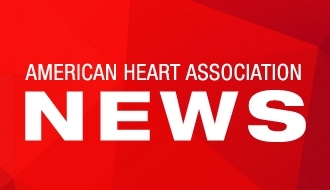 Each kiosk has a touch screen with a short video that provides an overview of Hands-Only CPR, followed by a practice session and a 30-second test. 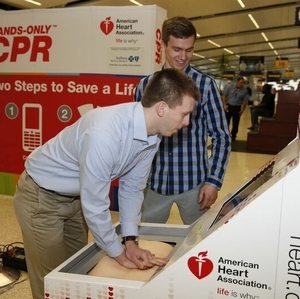 With the help of a practice manikin, or a rubber torso, the kiosk gives feedback about the depth and rate of compressions, as well as proper hand placement – factors that influence the effectiveness of CPR. 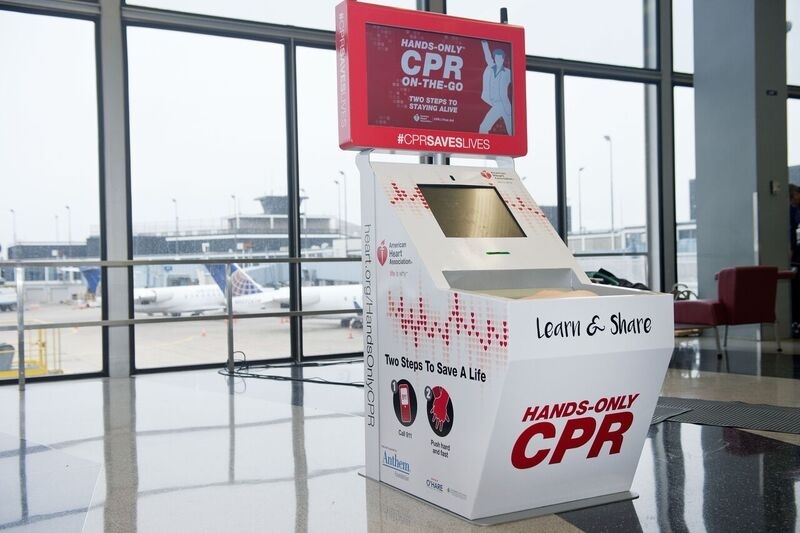 An American Heart Association Hands-Only CPR Training Kiosk supported by the Anthem Foundation resides in Terminal 2 at O’Hare International Airport.